From all the difficulties students have while trying to understand physics , the ones with mathematics are of the more remarkable, at least for physics teachers. Although the problem is explicit, its solution becomes complex due to the lack of clarity about the characteristics of the relationship between maths and physics. If for the teacher these relationships are unclear, it is probable that their students will not realize their character and assume a naive attitude, believing that knowing the equation and how to resolve it will result in success in solving physics problems, forgetting the conceptual part. 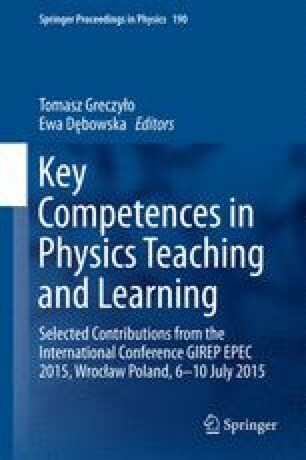 We investigated how these relationships were perceived by two consecutive groups of undergraduate students in a physics degree that educate high school physics teachers and how this way of understanding is reflected in their conceptual learning and their attitudes when they are asked to resolve problems of thermodynamics. We will discuss how their perceptions would influence their teaching in middle school.